People are doubting Love Island‘s legitimacy after a big revelation was made about the villa’s newest member. 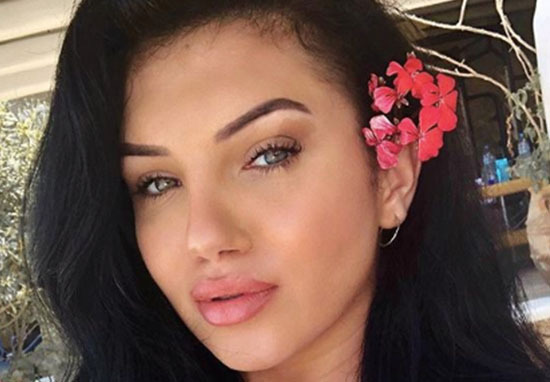 The contestants in Love Island were first made aware of new girl Alexandra when Dr. Alex received a text inviting him out to brunch with the new mystery woman. Side note – hallelujah for Alex! Someone’s interested in him! After Alexandra met Alex and Jack on their two dates, she entered the villa to face the rest of the contestants. Alexandra was greeted by the islanders as they met for the first time. The way you make me feel… ?? The revelation they found didn’t bode well for their trust in Alexandra, or in ITV. One fan revealed a picture of Alexandra and Megan together, suggesting the two knew each other in a pre-Island stage of life. Another fan also shared the photo of Alexandra and Megan, asking why the pair didn’t acknowledge that they’d known each other on the show and saying the suspicious behaviour made them think the show was a fix. @LoveIsland how come Megan didn’t let on that she already knew Alexandra ? Makes me think it’s all a fix ?? #LoveIsIand #fakeisland #scripted? The Sun report that Megan and Alexandra were pictured at a festival together last year, and that Alexandra was credited as the make-up artist on one of Sixty 6 magazine’s photo shoot, which featured Megan, in June 2017. Do you have your copy of #issue3 @sixty6mag yet? See @meganbartonhanson shot by @dannydesantos wearing @natchamarro @tamzinlillywhite ❤️ in our brand new issue! ? ITV didn’t show any shots of Alexandra talking directly to Megan while she was introducing herself to the rest of the contestants on the show last night, so perhaps they’ll address their history tonight? We’ll have to wait and see. If ITV choose to ignore the rumours of the girls’ friendship, they might open themselves up to more accusations of staging the show, the first of which occurred after Georgia and Jack’s much-discussed kiss. With the amount of drama the kiss between Georgia and Laura’s Jack caused in the villa, you’d think ITV would have made sure their show was edited to perfection, leaving no room for error on a scene that fans watched over and over again. Unfortunately, the editors slipped up and opened ITV up to accusations as fans realised the scene with Georgia and Jack’s kiss had been filmed twice. Fans watched the scene relentlessly while desperately trying to work out who kissed who at the end of their date, and noticed that from one angle, Megan and Wes stand up and kiss before Georgia and Jack fully stand. From another angle, Georgia and Jack stand and start their smooch before Megan and Wes lock lips. The revelation left fans not knowing what to believe, and with Megan and Alexandra’s potential past friendship in the mix, ITV are sure to be in the firing line for more accusations of the show being ‘fixed’ if they choose to ignore the rumours.